The hotel is only 5 minutes away from the Champs-Elysées and Latin Quarter. Hergé, Belgian cartoonist best known for The Adventures of Tintin. Often referred to as "the father of the European comic strip", he was one of the first French-speaking authors to use American-style comic strip with speech bubbles. The exhibition looks back on his creative approach, fed by the cinema, painting, photography and adventure novels and his passion for drawing. It shows how the universally recognised drawings of Hergé fit in with both his era and the history of art. Early closing at 6:00 pm Saturdays 24th and 31th December. The exhibition “Magritte: La trahison des images” offers a completely new approach to the work of the Belgian artist René Magritte. Jacques Lacipière and chief Satoshi Toriumi welcome you with angels around a rewritten daily map at the discretion of the Rungis market arrivals. Very nice wine list with over 300 references. An excellent restaurant near the hotel. The food is excellent and the service is lively. Value is great, prices are decent in respect of the quality. We tested for you this restaurant offers a french cuisine prepared with fresh, seasonal products, a menu that changes regularly at a reasonable price for the area at lunchtime. You can find a good quality wine at a reasonable price, very good cooking chief, good team, trying unceremoniously. Feel free to give us feedback on your experience. Excellent Italian food prepared with good products, the antipasti are excellent and all for a reasonable price! The ouwner Ciro Polge welcomes you with his accent and his good humor, in short we fall in love with Italy. 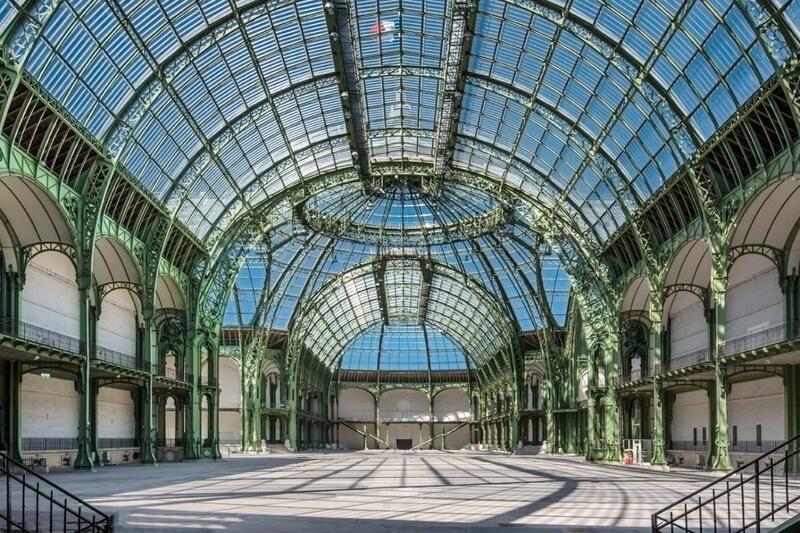 Located in the heart of Paris, on the avenue des Champs-Élysées, the Grand Palais is an emblematic monument of the city. Built for the Universal Exposition of 1900 and dedicated « by the Republic to the glory of French art », it has been classed as a historical monument in 2000. Opening time: 10h - 20h. Closed on Tuesday. Special Night days: Wednesday, Friday and Saturday until 22h. 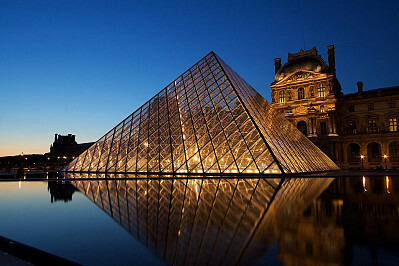 Originally a simple defensive forteress, the Louvre has been the principal residency of French kings for a long time. It became a museum in 1793, it is over 73 000 m² large and presents the works of the Occidental art from the Middle Age to 1848, and also of antic civilizations that preceded it. Around 35 000 pieces of art are exposed, some of which go back to 7000 years ago. Open at night on Wednesdays & Fridays until 21h45. 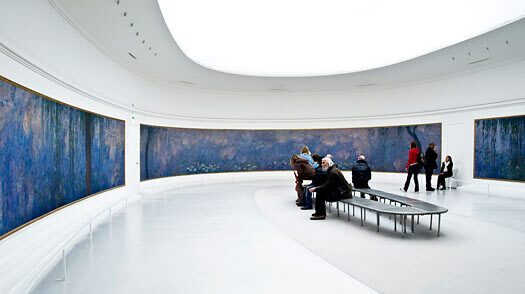 The Musée d'Orsay owns the biggest collection of impressionism pieces of art (around 440 paintings) in the world. 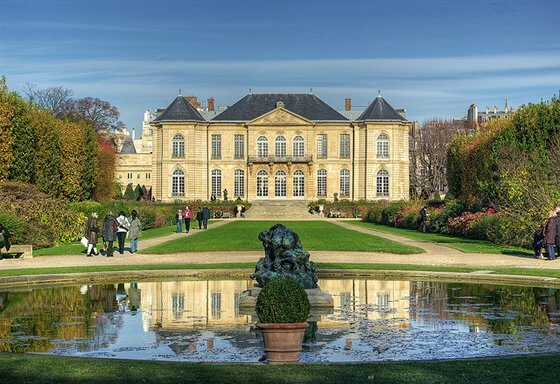 The musée Rodin, a few steps away from the hotel, promotes since 1919 the conservation and diffusion of the artworks of Auguste Rodin. You will find there the famous "Thinker", along with many other artworks. 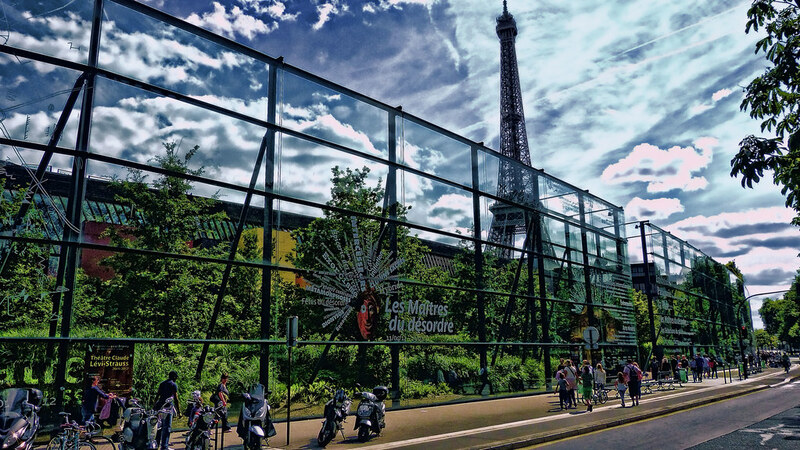 The musée du quai Branly is located on quai Branly, near the Eiffel Tower in the 7th district of Paris. Open at night on Thursdays, Fridays and Saturdays until 21h. 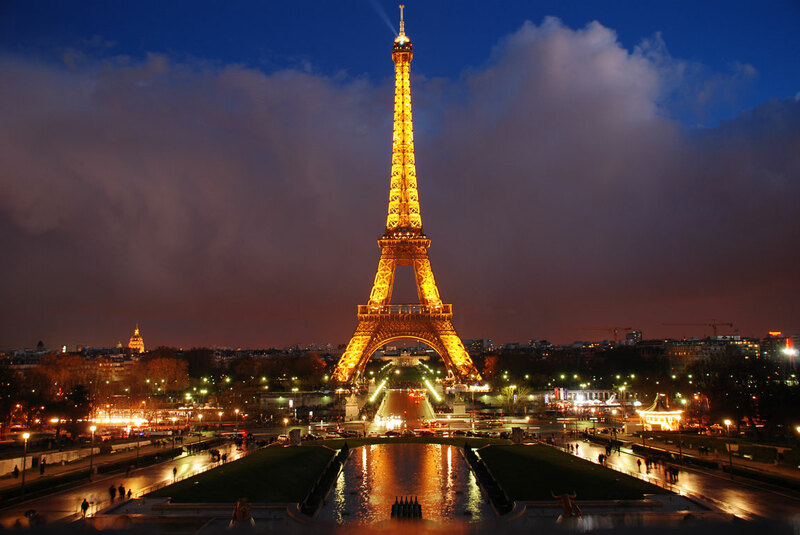 The Eiffel Tower, 10 minutes away from our hotel, is an iron tower that is 324 meters high, builtby Gustave Eiffel and his coworkers for the Universal Exposition of 1889 in Paris. This monument has become the symol of the City of Lights. Opening times: 9h30 - 23h00 (until midnight in summer). 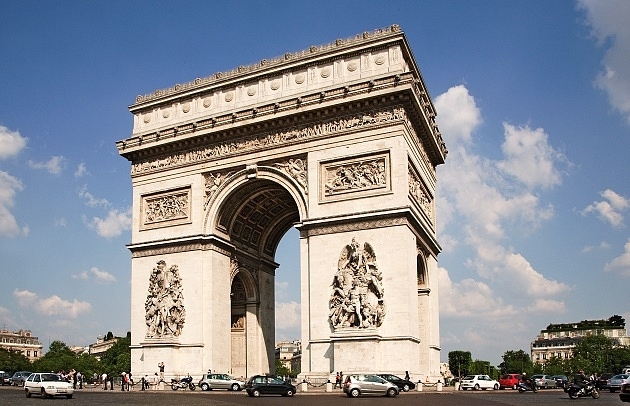 The construction of the Triumphal Arch was decided by Napoleon the 1st, it started in 1806 and finished in 1836 under Louis-Philippe. The monument is 50 meters high and 45 meters large. Opening times: 10h - 22h30 (until 23h in summer). This Royal Chapel was built between 1677 and 1706. The inside decorations have been realized back then to the glory of Louis XIV. 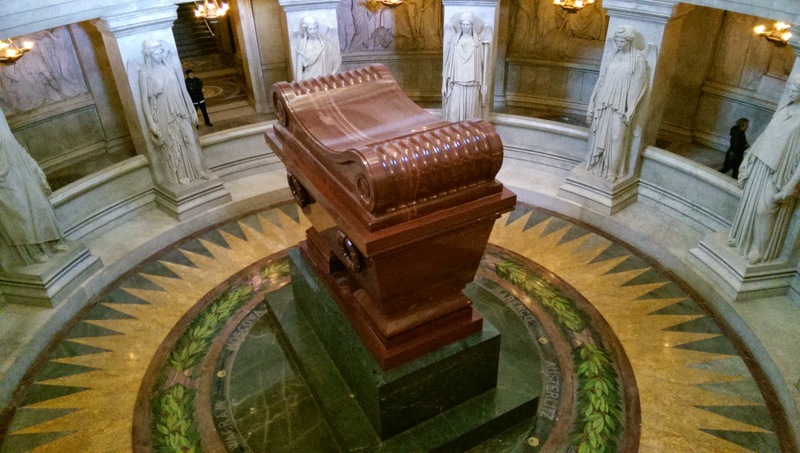 It's in 1840 that King Louis-Philippe decided to transfer the body of the Emperor there. French sailors, placed under the command of the prince of Joinville, brought his coffin to France on the ship "La Belle Poule".National funerals accompanied the return of the ashes of the Emperor Napoléon Ier, transfered to the Invalides on December 15th 1840. Opening times: Open every day of the week. The Sacré-Cœur Basilica, located at the top of the Montmartre hill, is a major religious structure in Paris. Its construction follows the war after 1870. Over the course of four building campaigns, Louis XIV converted a hunting lodge built by Louis XIII into the spectacular Palace of Versailles. Versailles became a dazzling, awe-inspiring setting for state affairs and the reception of foreign dignitaries. It is only around the 1660s that the young Louis XIV started to grace Versailles with his presence, to renovate it and give receptions there. The most considerable works done by the Sun King in the Palace started in 1678, when he decided to make of Versailles his government's Headquarters. Jules Hardouin-Mansart, first architect of the King, directed the construction of the dazzling Hall of Mirrors, decorated under Charles Le Brun. The Castle took its definitive appearance with the construction of the north and south wings to lodge princes and courtiers, along with works outside : royal stables, Grand Commun, the somptuous Orangerie ... The works were not even achieved that the court was already there, on May 6th, 1682. The constuction of the Cathedral Notre-Dame, launched by the bishop Maurice de Sully, took almost two centuries, from 1163 to 1345. It welcomes now over twenty millions visitors every year, making it the most visited monument in Paris and in the entire Europe. Until 19h15 Saturday & Sunday.